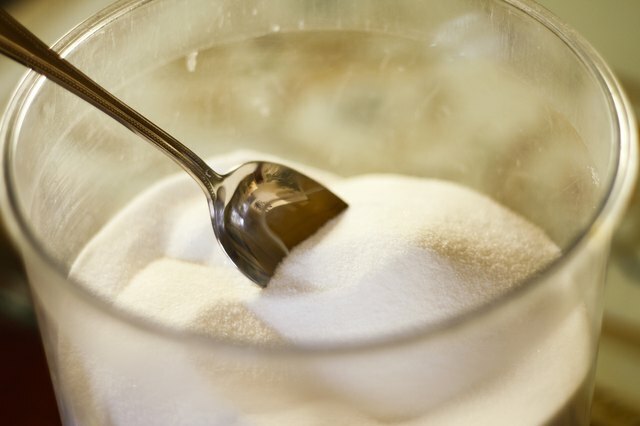 You may need to add half of 3/4 cup sugar to a recipe because you're cutting the recipe in half, or because you know a recipe calls for much more sugar than you prefer. 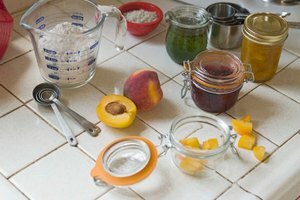 Plastic and metal cups for measuring dry ingredients don’t give any indication where the half-level line would be, and glass measuring cups don’t have a measurement for half of 3/4 cup. 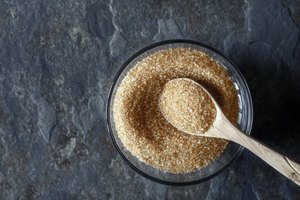 If you want to add half of 3/4 cup sugar (3/8 cup) to a recipe, you can use a few different ways to measure this amount. 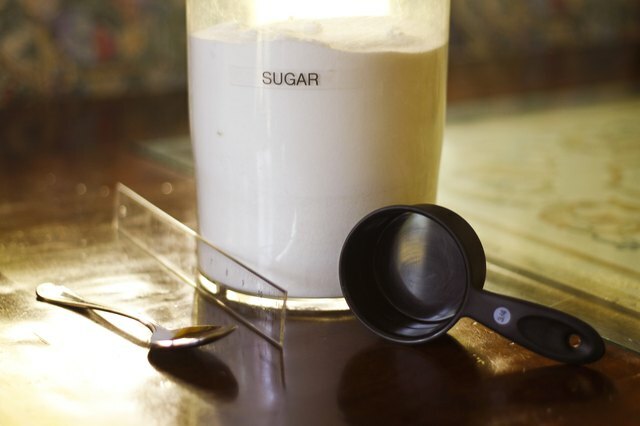 Measure half of 3/4 cup sugar by using a tablespoon. 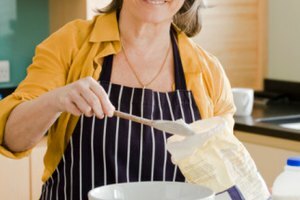 The number of tablespoons that adds up to 3/4 cup is 12, so divide 12 in half and add 6 tablespoons of sugar to your recipe for half of 3/4 cup. 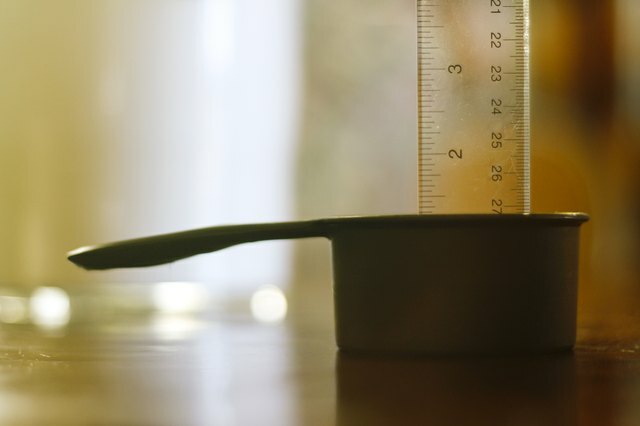 Use a tape measure or ruler to calculate the height of the 3/4 cup you're using. 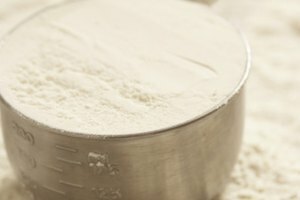 If the 3/4 cup is 2 1/4 inches tall, for instance, you’ll fill the cup 1 1/8 inches high. You can do this with a glass measuring cup also, calculating the height to the 3/4 line and then dividing that height by two. 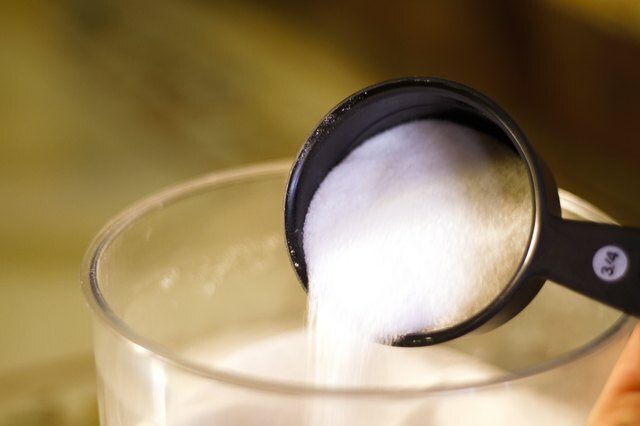 Fill your 3/4 cup a little over half full of sugar and then turn it sideways over your sugar container, and allow a little sugar to pour back into the container. You want to create a diagonal line from the top edge as you hold it sideways to the bottom lip of the open part of the cup. Now you have half of a 3/4 cup of sugar.